Android devices appeal so much to the users because with them you can do a lot more which other devices just can’t do. For those who don’t know a thing about rooting, it means to give root permissions on your phone so that you can get more apps on it. In case you are a rooted user then you must find out what more you can do with your Android phone. For that you must know about the apps that you really must have on your rooted phone. Here are the 10 must have apps for the rooted users. Check them out! This can be said to be the first app that a rooted user must install after rooting the phone. As rooting a phone or device gives you full control over it the Superuser app acts like a button for all that control. With it installed on your device you can give permissions to the apps that you further need for your rooted phone/device. Wireless Tether is an app that turns your rooted phone into a Wi-Fi hotspot. Regardless of the carrier this app gives you the simplicity in access. This is again a must have app for all the rooted users. This app lets users to backup and restore the game data as well as enables downloading and sharing of the game progression on the Game On network. If you find yourself jammed in some part of the game, the Game On gives you the solution by progressing further anyhow. A perfect app or tool for controlling the processor speed of a rooted Android phone/device is what is known as SetCPU. This app allows the users to have full control over the kind of processor speed they would like to have. This also watches the temperature and thus prevents the device from getting overheated. Overall, this app is a blessing to a rooted device as it helps in boosting up the performance and battery life. Yet again a must have app for the rooted users. Avast! Mobile security app is a top-notch anti-virus app that provides the best anti-theft solutions to the users. It secures your device from the possible online threats like viruses and malware. SSH Tunnel encrypts all internet traffic on your rooted device/phone. When you are stuck with no data signal and wish to connect to sites like Gmail or Facebook, then this app lets you to access internet by using a ssh tunnel. This ensures that you are having a secure connection with no one intruding your personal info, which generally happens when you use a public Wi-Fi. The Adfree helps in blocking the ads on a rooted device by blocking the ad-serving sites on the IP address level. You can relax as it does not make your system slower and does a great job at the same time. ROM Manager is must have app for root users to make backups & flash ROMs. ROM Manager allows easy way to backup and restore nandroid backup, install ROM from SD card or install favorite ROMs over the air. If you’re new to Rooting things than this app provides an easy way to control your device. One more of the good app that the rooted users must have is Quick Boot. 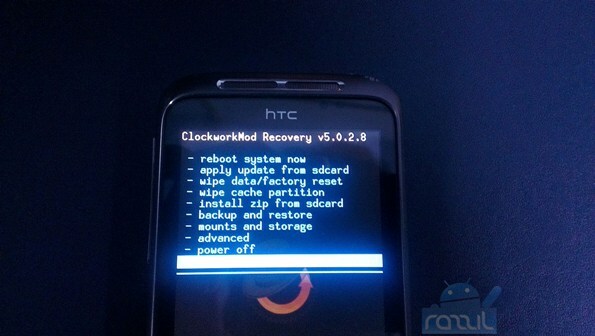 This comes handy and functions for a quick and easy rebooting of the device. You can even power off the device by using this app and recover it. As an option you can create shortcuts to boot with just a single click! Last but not the least; the Titanium Backup is a powerful app with which you can restore all your data and apps on your rooted device/phone. It supports both protected as well as the system apps. You can check out its free version but the pro version for which you pay will come with more features. Nancy Rorie is a technology blogger who occasionally write for some led light manufacturers in China.